Today many Americans will honor veterans for their service. Anyone who gives up years of their life to serve our country should be recognized for that selfless act. Not everyone in our military went voluntarily. Once there was a draft. The new all volunteer military needs more volunteers, or we may see that draft again. Regardless of why men and women went into the military over the years, if they served honorably they deserve the benefits they get in civilian life. This country does love it's veterans. Sometimes it doesn't seem that way with all of the glitches the Veterans Administration has. Even so, imagine if there weren't any benefits and pensions when veterans left the service? This country isn't perfect, and I know there's too many homeless veterans wandering around not getting help. 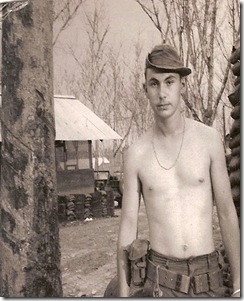 I'm a combat Vietnam veteran with PTSD. I wouldn't be alive right now if not for the help I got from the VA and my wonderful wife. Life is a challenge for us all. As a veteran, I'm thanking all the people in my life and those strangers who support veterans. We couldn't do it without you!